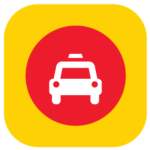 303 Taxi will dispatch to taxis in Suburban Cook, Lake, DuPage & parts of McHenry & Kane counties. Whether your trip is to a residence, the train, the airport or the Loop, 303 Taxi affiliates will provide the fastest, friendliest service to get you there. So, the next time you need transportation, CALL 303 TAXI! Thanks for choosing 303 Taxi since 1946! Flash Cab affiliates serve both O’Hare and Midway airport by offering a comfortable and economical ride from your front door right to your terminal with plenty of trunk space. Flash Cab is your easy, convenient, and cost effective solution. Next time you fly, try the Flash Cab advantage. Whether you need to preorder a taxi, ask for a van to the airport, or even go especially long distances, we have what you need at great prices. At Norshore Cab, our goal is to provide you with courteous, expedient, professional service of the highest caliber. At Norshore Cab, the customer always comes first. 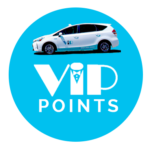 VIP Taxi is a local family owned and operated transportation service that has been serving the Phoenix and Tucson metropolitan areas since 2007. VIP Taxi provides reliable transportation for thousands of customers every year with honest surge-free prices. VIP Taxi features the lowest per-mile rate, state of the art tablet dispatching, and all of the convenient methods of ordering with text updates and GPS tracking. In addition to being surge-free, VIP Taxi offers low flat rates to Phoenix Sky Harbor Airport and we’ll pick you up in a luxury sedan when you fly back. With many ways to become one, be our VIP and try us today. We are committed to providing the city of Boston with a safe & convenient ride for hire. All drivers are fingerprinted & vetted by city of Boston Police Department Hackney Carriage Unit. All vehicles in our fleet undergo bi-annual physical inspection by the Boston Police Department Hackney Carriage Unit. Package delivery is also available. Virginia’s award winning taxi company, combining state of the art technology with an old fashioned commitment to service to set an unmatched standard of excellence since 1964. A FULL SERVICE taxi company providing prompt & reliable local & airport transportation 24 hours a day, 7 days a week. Tailored to meet your needs with a range of vehicles including comfortable full sized cabs, cleaner, “greener” hybrids, mini-vans, SUVs & wheelchair accessible taxicabs. Online reservations, senior discounts & many business support programs. Use our courteous, dependable taxi service for work or play, anytime. . . night or day! Taxi With Us is as premier provider of taxi services in Chicago & the Chicago suburbs, Boston as well as Tucson & Phoenix, Arizona. If you are looking for safe, fast, friendly & reliable taxi service then look no further than the affiliates of Taxi With Us. Site Hosted & Designed by Castco Communications, Inc.